Who’s ready to visit the upside down? Universal Studios just announced that they are officially bringing the Netflix phenomenon Stranger Things to life in the form of new mazes. Three brand new haunted houses are debuting this fall at Universal Studios Florida, Universal Studios Hollywood and Universal Studios Singapore. The parallel universe referred to as the Upside Down that terrorized the small town of Hawkins, Indiana in Netflix’s mega-hit “Stranger Things,” will bring the chittering, predatory Demogorgon to “Halloween Horror Nights” to stalk unwitting guests as they encounter iconic scenes, characters and environments from the mesmerizing series. Longtime fans of Theme Park University will remember that we wrote a treatment for Stranger Things to take over the ET Adventure. Sure, it is fan fiction, but it would be a great seasonal event. Read more about it here! 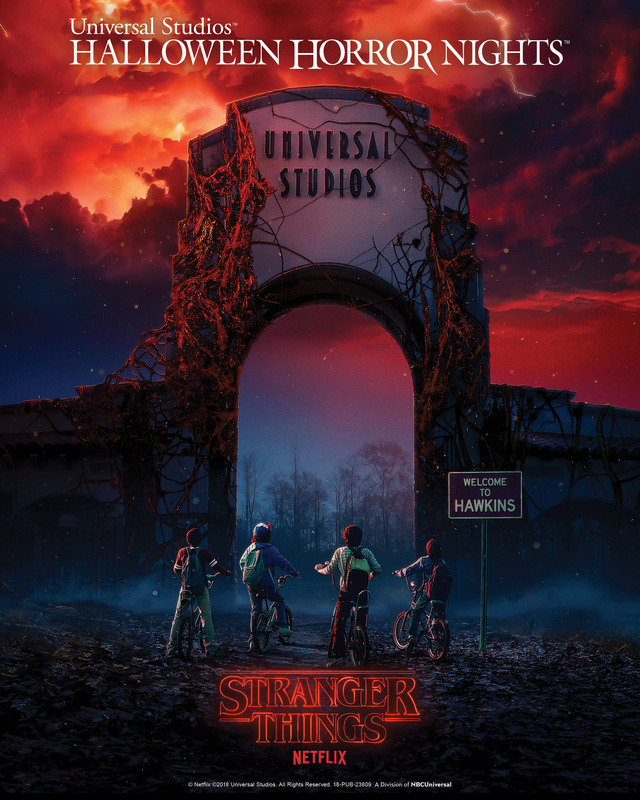 This entry was posted in Universal and tagged Halloween Horror Nights, Netflix, Stranger Things, Universal Studios Florida, Universal Studios Hollywood, Universal Studios Singapore. Bookmark the permalink. Trackbacks are closed, but you can post a comment.